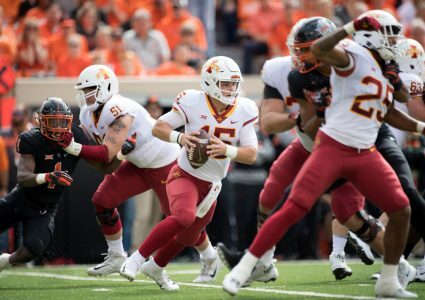 AMES, Iowa – Iowa State true freshman QB Brock Purdy earned a number of national awards after his impressive performance in Iowa State’s 48-42 victory over No. 25 Oklahoma State in Stillwater on Saturday. He was named CBS Sports National Freshman of the Week, Big 12 Newcomer of the Week, a Star of the Week by the Manning Award and tabbed a Davey O’Brien Award Great 8 performer. 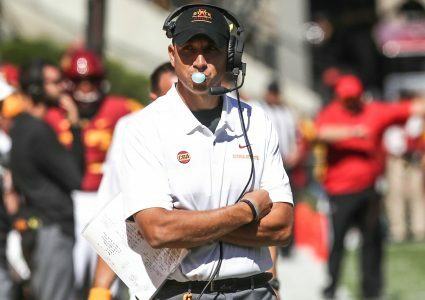 Seeing his first significant amount of snaps, Purdy responded with an incredible debut, tallying 402 yards of total offense (318 passing, 84 rushing) en route to the 8th-best single-game total offense effort in school history. He completed 18 of his 23 passes. A native of Gilbert, Ariz., Purdy accounted for five touchdowns in the game, four by pass and one by rush. 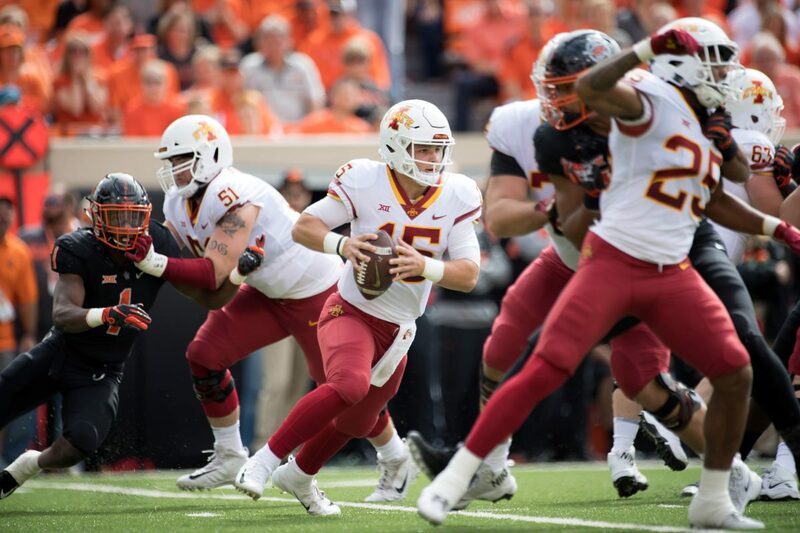 His four passing touchdowns ties for the third-best single-game total in Iowa State history and all of them were strikes of 20 yards or longer. 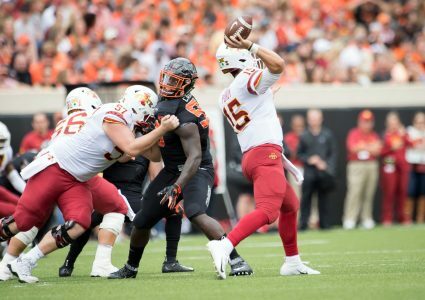 Purdy’s 29-yard touchdown run is the longest rush of the season by a Cyclone and his 60-yard touchdown pass to Tarique Milton in the fourth quarter is the longest play from scrimmage by ISU this season. Purdy entered the game after the first series with the Cyclones trailing 7-0. His poise and performance helped the Cyclones claim their third-straight win over a ranked team on the road. Purdy’s only other action was two snaps in the Akron game.